Welcome to Overdrive Productions, Inc.
Overdrive Productions, Inc. was started in 1989 by Steve Vinson. ODP now consists of several qualified audio engineers that offer excellent audio and video technical knowledge. ODP understands that each one of our customers are unique and have specific audio and video system needs. Our Audio/Visual specialty continues to be church audio production but we also do A/V consulting, sound systems installations, live sound productions, and are dealers for many great audio products like Bose. 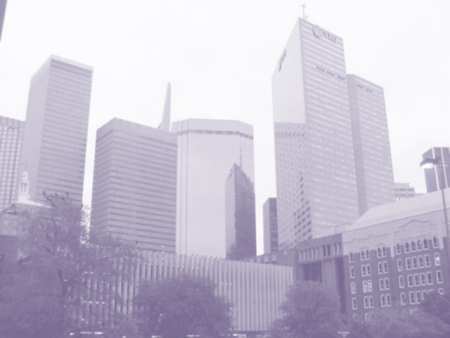 We are located in Dallas, Ft. Worth, Texas, but we can ship the great products we sell to just about anywhere in the United States. Overdrive Productions Inc., recently replaced an existing sound system with Bose 402 Series Loudspeakers and Bose MB4 Subs. 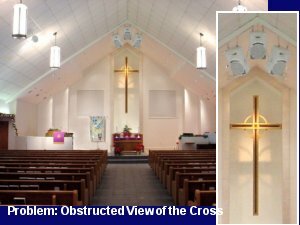 The previous Sound System at First Christian Church of Granbury detracted from the custom stonework and the cross. The new Bose Sound System sounds one hundred times better and the new speakers do not detract from anything. 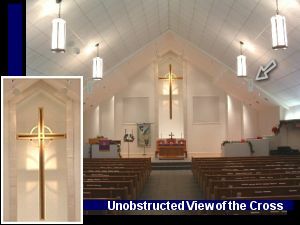 First Christian Church of Granbury is thrilled with the life-like sound of the new Bose sound system and also love the way they compliment their beautiful sanctuary. Commercial buildings and facilities need the ability to expand their Audio/Visual Systems to include Networked A/V. 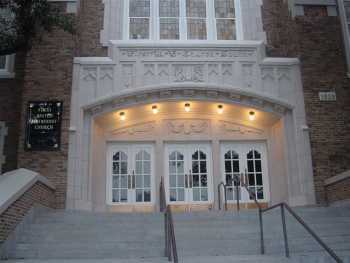 Overdrive Productions, clients, Shiloh Missionary Baptist Church and First Baptist Church of Hamilton Park, started with the design and installation of a new Sound System. The next project was a Professional Video System that includes Computer Networking. Overdrive Productions can work as your Church Media Consultant and guide you from one project to the next. We listen to your needs, vision, and mission and offer our expert A/V technical knowledge to help you attain your goals on a time frame that your are comfortable with. Whether you need better Videos or CD's of your church service, the right projector, or advice on loudspeaker selections, Overdrive Productions can help. We stay up-to-date on the latest A/V Technology including Video and Control Systems, Sound Reinforcement, Line Arrays (loudspeakers), Lighting, and Acoustic Solutions. We can design a Sound System or Video System that delivers high quality, value, and affordability. Most Churches today plan their Audio and Video purchases. A large majority of Churches now incorporate complete "A/V Systems" into their sanctuaries and church facilities. These IntegratedSystems consist of Professional Audio and Video Equipment including Loudspeakers, Mixing Consoles, Microphones, Video Projectors, and Video Cameras, Projection Screens, Computers, and much more. Overdrive Productions can design and install permanent or semi-permanent A/V Systems. We design and install large scale or small scale systems. ODP Professional Audio/Visual Consultants can give you advice on design, audio/video equipment purchases, integration, and project management. Overdrive Productions are also Pro Audio and Video Dealers for high quality Professional Audio and Video Products like Bose, JBL, Shure, Tascam, Ashley, Crown, Drake, dbx, Soundcraft, Draper, FSR, Knox Video, and also are dealers for Crest Electronics (CCTV). 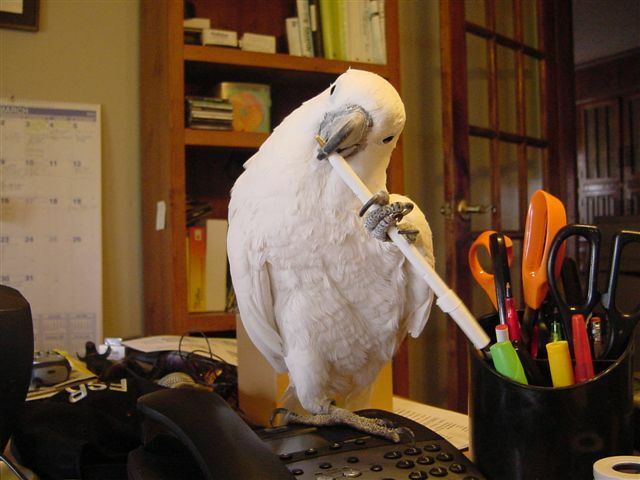 Overdrive Productions mascot "Audio Bird" is always here "and ready" to help you with all of your audio production and sound system needs! So don't hesitate to call on the professionals at Overdrive Productions today. ODP wants to be your audio, video, and sound system consultant!